Home / For Dream Chasers / Who Was Nora Ephron? Yesterday morning I was cutting fruit for breakfast when I overheard the news in the other room: Nora Ephron had passed away. I stood there staring at the TV, my hands sticky with pineapple juice, stunned and thinking, How can this be? I didn’t even know she was sick. I told him that she was the writer and director of some of my all-time favorite films, like Julie & Julia, You’ve Got Mail, and Sleepless in Seattle. She was a journalist who wasn’t afraid to voice unpopular opinions. She was a woman who broke rules and shattered glass ceilings. She was a cook who shared her recipes with the world. 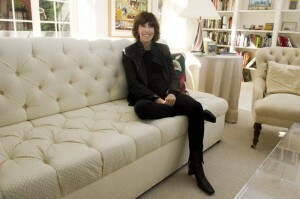 Nora Ephron managed to touch so many lives in so many different ways. For me, she was an inspiration. Her work fueled my passion for writing women’s fiction and made me want to create love stories that move people, like hers moved me. Though her work will live on and continue to bring us joy in the years to come, her creative genius will be sorely missed. 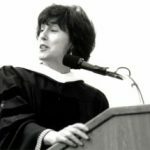 Who was Nora Ephron to you? I was surprised, too, not knowing she was sick. But then I read that she was as old as she was, which also surprised me because I thought she was younger, but also made me feel a little better for her because she’d lived a pretty long life. I have always loved her work. Magnificent goods from you, man. I’ve bear in mind your stuff previous to and you’re just too great. I actually like what you’ve received here, really like what you’re stating and the best way during which you assert it. You make it entertaining and you still care for to stay it wise. I can’t wait to learn far more from you. This is really a great web site.